One of the best things about summer weddings is that they can be organized outdoors while surrounded by nature and beautiful colors. 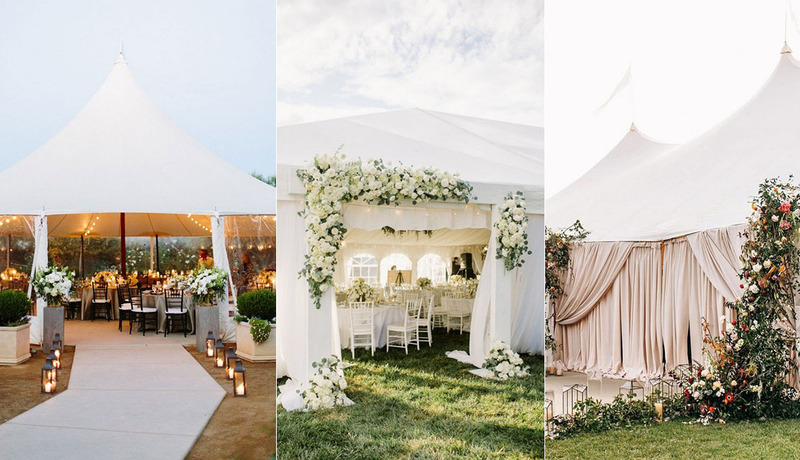 Wedding tents allow you to virtually celebrate this beautiful occasion anywhere you want. They’re versatile and they can be installed in a variety of different locations. They’re also a beautiful combination of casual and sophisticated and there are lots of gorgeous ways in which they can be decorated.